Ever since letting go of the country title and now being deemed solely as a pop artist, Taylor Swift’s new songs have definitely showed that evolution. Her new single, “Out of the Woods,” will be on her upcoming album, 1989. The narrative song will be track 4 on her upcoming album. It is the second single after the release of “Shake It Off.” “Out of the Woods” is a single that has a mature sound, which lyrically talks about a rocky relationship. Underneath the upbeat rhythm, Taylor Swift becomes vulnerable and opens up about her personal life. Who the song is about is still left up for debate. But needless to say, she has once again crafted a well thought-out song that anyone can relate to. Compared to her first single, “Shake It Off,” which is an anthem about not caring what others think, “Out of the Woods” provides raw and emotional lyrics about getting out of a bad relationship. The song was co-written and produced by Jack Antonoff, who is a part of the rock indie band, Fun. Looks like the duo worked out well. From the title of her album, not only was Taylor born that year but it was also reported that she wanted the album to be fused with late 80s pop sounds, but also having a modern twist. That explains the beat, especially heard in the first few seconds of the track. As an artist, she is known to really open up to her fans about her life. Both the good and well, the bad. It is as if she is telling you about her doomed relationship as one would tell any friend. I really like the metaphors that are laid out in the chorus as well as the infused beat. 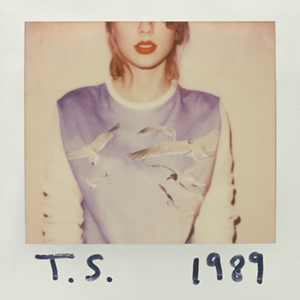 1989 will be available on Oct 27. You can also pre-order through Target and receive three bonus tracks and three voice memos from Taylor herself where she takes you through her songwriting process.